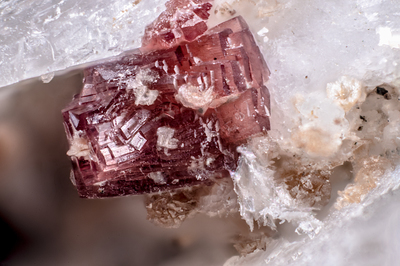 Parallel association of tabular crystals, from pink to purple, of petarasite, on white albite. Collection and photo of Gianfranco Ciccolini. Nikon D750, bellows, Luminar 16 mm.